Roll up the furling genoa completely, preferably continuing to roll until the sheets have wrapped around the genoa a few turns towards the bottom of the forestay. Tie them off on a cleat or trap them with the bag itself. Open the Storm-bag and take out the sheets. 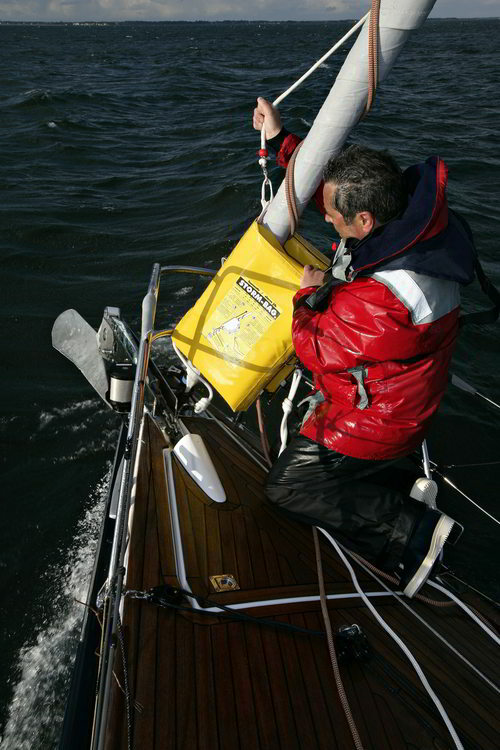 Install the Storm-bag around the genoa, above the roller and clip closed using the plastic clips on the back of the bag and position these towards the stern of the boat. In this position the two clew rings should be back to back facing towards the stern. Clip the snap-shackle on the bottom of the bag to the anchorage point that you have selected (see recommendations above). Clip the halyard on to the webbing eye on the top of the bag. Join the two tack rings together using the sheet snap shackle. Return to the cockpit passing the sheets through their respective blocks or cars. On long passages the sheets can be pre installed in position on the deck). The Storm-bag is now ready for use. 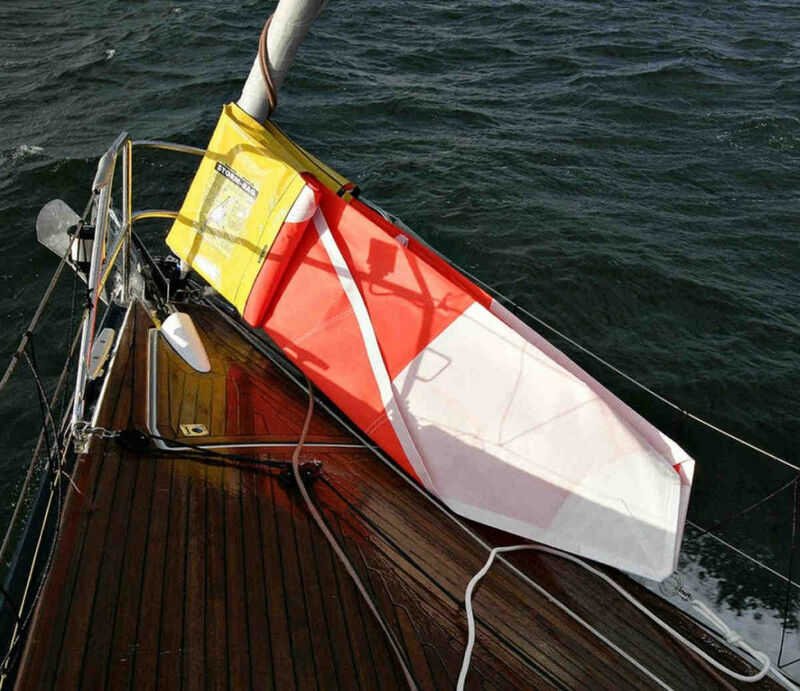 Pull the sheet on the side required to pull the sail out on to the deck and cleat off the sheet. Hoist the sail using the halyard and then sheet in as required. 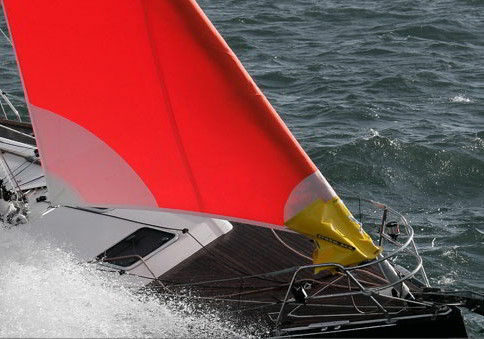 You will need a spare Halyard running from near the foretstay ancorage – the spinnaker halyard will normaly be sufficient. We recommend that you have a trial run in calm conditions, taking advantage of this test to choose a suitable strong pont to attach the tack and if necessary adjust the length of the strop. The genoa tack eye on the roller should normaly be large enough but if necessary add a shackle or a second eye to allow you to clip on the Storm-bag snap shackle more easily.